We are living in the era of technology. Surprisingly, if you excogitate about this whole ecosystem of inter-connected gadgets and devices that draw in information, give access to vast content, allow sharing of data and communicating, then you will notice that the vast majority of people are not those who are using MS Windows systems, rather they are using iPhones and iPads – basically Android devices! Android – Technology at Your Finger Tips! 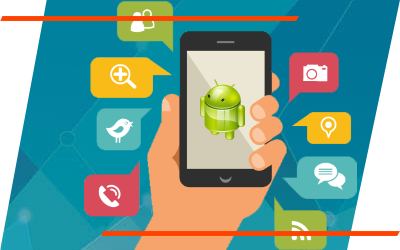 From the words of Sundar Pichai , we can understand that “Android was primarily built to be highly secure!” Android is known as open source platform for developing mobile phone android apps. It is powered by Linux operating system. Since its launch, newer and better android applications have been introduced attracting number of smartphone users worldwide. There are lots of opportunities still to be exploited in this industry.